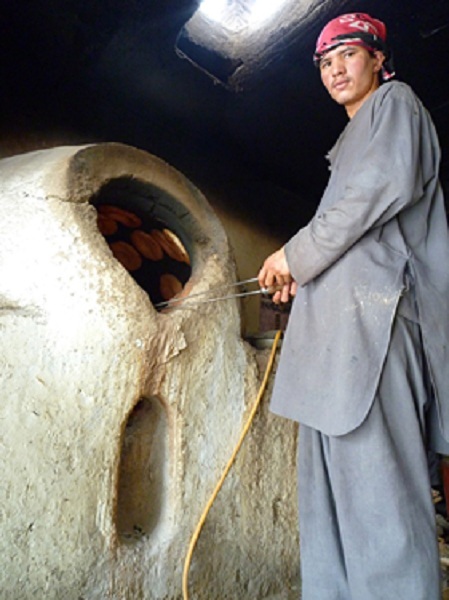 What made you decide to come to Kabul to make bread? Life is always a winding path with lots of detours. If you want me to start somewhere, I guess I’d start with Burma. Isn’t it a bit far? You’ll see, not really. A 14-year romance with Burma. It was a flat period, void of the pleasure surrounding food and the art of eating. When it came to food, my Chinese-Singaporean girlfriend J. and I always felt there was something terribly lacking. Even though it is surrounded by countries like India, China, and Thailand — all known for their cuisine — Burmese food offers little to get excited about. We once rented a little house in the hills above St. Tropez, just for a little vacation, and the exquisite food in the countryside bistrots made up our minds it was time for a change. We went back to Burma with 125 pounds of cookbooks in tow. Neither of us had ever set foot in a kitchen. We had a horror of the smell of stale fat and dirty hands. Until then, all we had done was sell our products in an elegant shopping arcade in downtown Yangon, without paying much attention to what we ate. Apprentice cooks really have their work cut out for them, and their friends have a hard time too when they have to serve as taste testers. Your guinea pigs slowly get accustomed to it, they applaud you when you get better, and little by little, they start asking you to provide the food for their dinner parties. Did bread come into your life in the same way? I love bread. After living decades in Asia, that hasn’t changed a bit. In our new cookbook collection, we have Escoffier, Veyrat, Ducasse, Hermé, Calvel, and two other books by Peter Reinhart, including Crust & Crumb: Master Formulas For Serious Bakers (1998), that really, quite literally, got me started baking bread. Our obstinacy paid off in the end. Some restaurants considered our bread better than what they are used to being served. We soon bought a kneading machine and a professional bread oven, which were a big change from our home-kitchen gas stove and the tens of pounds of dough we kneaded by hand. So the shopping arcade was — and with no regrets — being turned into a restaurant. J’s Irrawaddy Dream turned in to J’s Bistro. The shop and garden were a breathtaking setting for a restaurant. The experiment was conclusive, and we saw we could make a living from it. I felt it was time to take my pale skin to other climes. Almost every day, the cartoon on the front page of The New Light of Myanmar, the English-language newspaper, showed an imbecile of a white-skinned colonist coming face-to-face with the crafty Burmese. The administrative hassles gave me as much heartache as the smells of dirty cooking oil. I was leaving behind a life of collecting, accumulation, creation, and I set sail for China. I had already lived there, and I’d maintained the friendships I’d made. It didn’t take long for me to figure out that my Burmese exile had left me with absolutely no marketable job skills. On the other hand, I was a decent bread baker, a pastry and chocolate maker when I had to be, and a chef and restaurateur in the making. Therein lay my abilities. The China I came back to had nothing to do with the one I had left behind. I didn’t even recognize Beijing. Nowadays, Shanghai is even flashier than Hong Kong, so I ended up missing Burma. One night when I was quietly trying to drink away my depression over the matter in a French-owned bar in Shanghai, who do I see walk in but two old friends, former legionnaires, great fighters. They had just gotten back from Afghanistan, where they had carried out a reconnaissance mission. I guess it touches you deeply enough you want to go and see for yourself. That’s just about it. So I arrived in Kabul at the beginning of 2005 with very little money and a lot of prejudices. I came from the gentle ways of tropical Southeast Asia — its flowers, it fruit, its incredibly pragmatic religion. My first reaction was absolutely negative when faced with this world of contractors (or better said, mercenaries and cowboys) I found there. I’m very wary of NGOs too, which I bot to know in Asia. International organizations are, in my mind, monumental, self-satisfied bureaucracies. In any case, I’ve been my own boss for a long time now. I’m going to draw on that experience to get down to the job of opening a restaurant-bread bakery-pastry shop. I like the idea of it. And after my Burma experience, the Afghan desert seems somewhat exotic. Indu Kush gives a feeling of being in the Himalayas. Until 2008, a foreigner could travel around the north of the country risk-free. Even if the culture is so totally foreign to me, I get a lot out of it; I meet people, I learn. How is it possible to open a restaurant in Kabul, right in the midst of a war, not knowing anybody, not speaking the language…? I had to be resourceful, and I’d already done that in Asia. War only becomes real when your friends are killed, or when there is a terrorist attack at your neighbor’s and his ceiling ends up in your bed. Otherwise, it’s just something you see on the TV news, or in surreal text messages the ambassadors often send around to warn us about risks, some of which are more real than others. When it comes to the language, I admit I have a total blockage. I’ve had to learn and forget too many different languages to have the courage to take on yet another one. I’m wrong, of course, but that’s just how it is. I get by in English, French and bits of other languages still hanging around in my brain. So I understood that I had to have a local partner. My first choice was a total disaster. 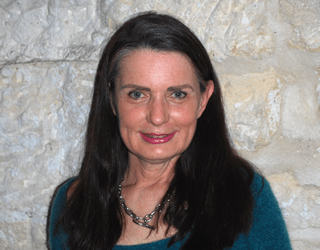 The partnership panned out almost immediately, and I lost a lot of money. It was a stormy parting of ways in a country where a state of law is still a dream far in the future. I chose my second partner more carefully. One month to the day after the legal arbitration between my former partner and me, Le Bistro opened its doors. It didn’t take long for it to start building its reputation, and it became recognized as one of the “good” restaurants in Kabul. We had a bread oven built in to the kitchens. Our bread-baking production is chiefly aimed at the restaurant clientele and aficionados who go crazy over our bread, croissants, turnovers and cakes. I work mainly with sourdough (plus a few grams of Lesaffre yeast), just because that’s what I like and it’s a matter of principle. Unfortunately, the flour here is of very poor quality and that holds me back and keeps me from fulfilling my ambitions. Each and every one of us spend our lives looking for the perfect note, the perfect color. I am looking for the perfect baguette. Maybe I have the principles of a left-over hippie, but I want to employ Afghans, and I want to use only local products (except when that is impossible, for Valhrona chocolate, for example, which I have to import of course, as for cheese). Le Bistro is meant to be a haven of peace; weapons are forbidden and the barbed wire is discreet. It corresponds to what a lot of people want; they’re rather sick of playing Rambo every morning. The results were strongly encouraging, so after 5 years my partner and I decided to build a real restaurant. Le Bistro doesn’t have a traditional bread oven? There’s always been a custom of converting old villas into restaurants, so the kitchens are inevitably a disaster, and the infrastructures are designed for households, not for professional use. Our intention was to get around these obstacles, to make something professional instead of makeshift. We took advantage of the works to build a humungous, air-conditioned bakery in the basement of a neighboring building. We thought the “word of mouth” that said we made the best bread, the best cakes and some of the best French cuisine in Kabul (which isn’t actually that much of a challenge) would make it possible to mobilize our old customers and expand our business in a larger, more comfortable space, that also offered higher security. Needless to say, most of our customers are “institutional”, since officially, the security measures forbid employees of international organizations to go outside their compound. Today, we mainly attract people who are “jumping over the school wall”, so to speak, and who don’t accept being treated like children in a boarding school. The new restaurant will meet the requirements of the different security services — watchtowers, armed guards, high security walls, anti-explosive barrier walls — so that all the looming insecurity stays outside the walls of our restaurant. I forgot to tell you that in addition to our restaurant operation, we also successfully expanded our catering business. Now you have a more realistic idea of what I am doing in this beautiful country Afghanistan. This French bakery in the heart of Kabul, do you think of it as a sort of forerunner moving toward the “embracing” of French bread on the part of the masses? Is it going to catch on like wildfire with the Afghans? Central Asia has its own bread-making traditions. Every culture has its own taste in food, so I am not pretentious enough to think I’m going to make the Afghans forget their delicious nans cooked in a tandoor oven. Especially since, except for north of the Mediterranean, the crustiness of our baguettes is seen as bad for your teeth. No matter how talented they are — and the oldest ones have been working with me for five years now — I will never get it it out of my Afghan bakers’ heads that I am having them make kafir bread, the bread of infidels, and that nothing is as good as a nan hot out of the tandoor. But I of course see it differently: all the nans in the world will never make me give up my love for a crusty baguette, and the crusty end will bring back fond childhood memories until the day I die. So Afghan competitors are rare, but I’m still hoping that I’ll manage to convince my English-speaking customers to one day give up soft bread pumped with yeast and replace it with healthier, tastier bread. Maybe I’m a dreamer.